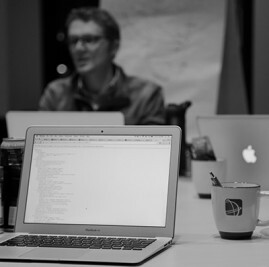 The Rocky Mountain hackathon gathered “techies” to tackle global challenges with a Christian perspective. In our lifetime, the population of our planet will double. If you were lucky enough to be alive in 1974, then you saw the earth’s population reach 4 billion. If you are lucky enough to be alive in 2029, then you will likely see the earth reach 8 billion people. That’s insane. Visit a world population clock website that shows a live projection of the growth of the planet in real time. I dare you to try to pray for each number before it passes. Imagine each number is a new soul—because it is. You might be the first one to pray for them. But you have to be quick. Crazy quick. Actually, if you are an average reader, by the time you read this sentence, 130 new babies have been born. And statistically speaking, they have just opened their eyes to a new place with light and air and families … but not the knowledge of Jesus. Not in that room or the next one. Not within even a mile in any direction, or two or 20 miles. Or, for some, not even in their birth city or in the one next to it. And by the time you read this sentence, 50 more babies have joined them. How will they know? How will we faithfully help them know? At WorldVenture, we think one part of the answer is by mobilizing the digitally talented. The only thing expanding as fast as the population is the reach of global communications. We need to add to the missionary community people who understand digital strategies, mobile strategies, development, and coding en masse. We need people who can both leverage digital communication strategies and innovate new media for outreach. As part of this vision, WorldVenture co-hosted the first Code for the Kingdom hackathon in Colorado. In partnership with Leadership Network, Code for the Kingdom, Operation Mobilization (OM), Faith Comes by Hearing, Lumi, Indigitous, Gloo, and Church Community Builder, we mobilized 45 coders, developers, and technologists to donate their weekend and create tech for the purpose of spreading the gospel. Eight teams formed and produced six projects. For many of these techies, putting their digital skills to benefit the work of global ministry was completely new to them. “It was the first time I have used my skills for Christ,” said Howard Pflugh, a mid-career software developer. Most developers and coders in churches get assigned to running PowerPoint or the sound board for the sermon. And while this service does involve a computer, it actually has nothing to do with their real skills and passions. Their real talents are hidden behind words like Python, Java, LAMP, Ruby on Rails, Node.js, C#, C++, and others. These are the words that live under the surface of the mobile phones we carry in our pockets and the software we use on our computers. For most of us, we will live a happy life never knowing what any of those words mean. But the fact that the most sophisticated global communication architecture in history is being constructed on these words is something we can’t ignore, just like we can’t ignore a planet population doubling under our feet. We need these technologists on our side, laboring and bringing the gospel to an impossibly massive world! So we challenged them to come join us for a weekend hackathon, as a start. The term “hackathon” might sound new, but hackathons, technology sprints, code camps, and hackfests have been a consistent element in the technology sector for years. Groups like Google will host enormous hackathons and put up million dollar awards for a team that can innovate a new product or a new application based on Google’s current products. And it works. They come in hoards. “I’ve been to a couple different hackathons and one of the biggest things I’ve been looking for, and felt that every other Hackathon was lacking, was the Kingdom purpose,” said Josh Krueger, who spent the weekend with the OM team working on a battery-powered WiFi broadcaster that could supply an offline rural school with digital resources, or be used to distribute gospel content to mobile phones in hostile locations without the internet. For WorldVenture, a hackathon makes sense. Our passion is mobilizing and sending great people around the world to spread the gospel. A hackathon is basically a local weekend mission trip with a global focus. Find a place with good internet and openness that allows people to stay up all day and night for 48 hours. Find challenges facing the movement of the gospel or justice for the poor, along with champions to pitch the challenge. Promote the socks off the event. Call for developers, coders, and technologists to climb out from behind the Sunday PowerPoints and do something about real problems facing the world. Code for the Kingdom recently pulled off its first global Christian hackathon, with more than 800 technologists gathered in eight countries to work on more than 120 apps. Urbana 2015 had the same idea. With 16,000 young adults in attendance, they hosted a mini-hackathon (nine hours) and had 190 students develop apps and tech solutions. Are we watching an awakening? A movement? I hope so. The dream—given the great need for the expansion of the gospel to all people—is that this awakening of the digitally talented would continue. That digitally talented people would recognize their essential role in the Great Commission. That missions teams would not consider themselves complete without having at least one member hold the role of a digital strategist. Imagine if every evangelistic effort recruited a digital strategist as a key team member, or every church planting team recruited a digital strategist as a key team member on par with a worship leader and a preacher. One last observation from our recent hackathon—it was nearly all men. To some, identifying the absence of women would be an obvious negative. And to be sure, we wish we had more women engaged in this. But considering the fact that missions is dominated by women per capita (as are churches), and that mobilizing men to missions is a huge challenge for missions recruiters, we had nearly all men! This is a little exciting. We put out the challenge to come, to take on a global challenge, to code all day and all night, to sleep on the floor if needed, to drink lots of coffee and Red Bull, and sorry, but by the way, no showers provided. And they still came. And they loved it. Any missions mobilizer should be sitting up and taking notice. Especially, when we have added roughly 1,650 new lives to the world since you started reading this article. This app was designed for a user-driven community to report on threat areas within a city, informing users where they should use caution because of previous reported patterns of threatening behavior. This app was completed as a fully functioning social sharing app. One community member could post a need and another community member could respond to that need. It was built with full integration to the Church Community Builder platform. This was a hardware enhancement project of a small WiFi content delivery device developed to deliver over WiFi/Bluetooth in offline and non-internet access locations. The team enhanced the user interface to give it a stronger application in the field. One box was actually deployed to Guatemala during the hackathon. The Bible Translator’s Assistant was an established software project that did not have a functioning graphic web interface, which the team was able to generate over the hackathon. The team created an API interface to the Community Health Evangelism network database, which is a database of 11,000-plus volunteers and 2,000-plus trainers, who work with the rural poor in 100 countries. This API is the first step to developing disruption tolerant field apps for the network. The local evangelism network project researched and developed the conceptual groundwork for a digital strategy for the front range in Colorado. This was a first step in launching a chapter partnership with Jesus.net. The Prayer Walk app team created a conceptual prototype of an app that would facilitate prayer walking in neighborhoods by faith communities. Rocky Mountain Hackathon 2015 from WorldVenture on Vimeo.